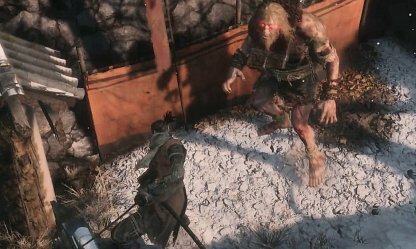 Check out this Sekiro: Shadows Die Twice guide on how to beat the Chained Ogre. Info includes gameplay tips, recommended Prosthetic Tools & Items, boss moves & attacks, and more! Collect 4 and use at Sculptor's Idol to increase Vitality or Attack Power. 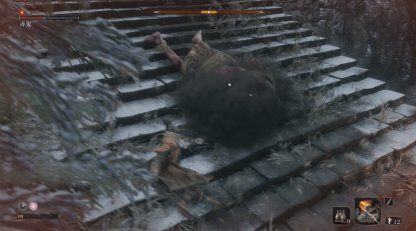 Latent Skill that increases the effectiveness of recovery items. The Chained Ogre is very weak to fire. Having the Prosthetic Tool "" will be a very useful weapon against this enemy. You can acquire Flame Vent by getting the Flame Barrel in Hirata Estate & giving it to the Sculptor to give you a new Prosthetic Tool. 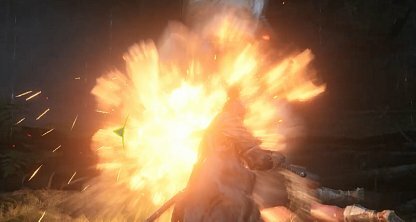 Check Out How To Get Flame Barrel Here! In this fight, you want your main focus to be the Chained Ogre. 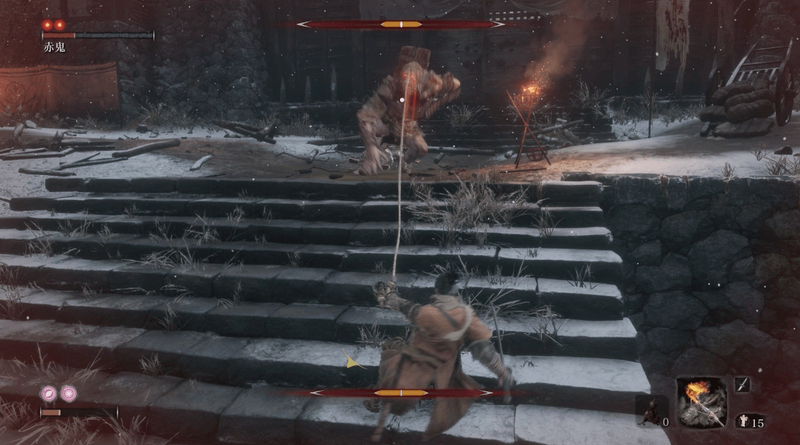 Attack and defeat the two enemies around the Chained Ogre so they won't interfere when you fight the boss. The Chained Ogre will be highly vulnerable to the fire of your Flame Vent. If you have this Prosthetic Tool, be sure to equip and use it in the fight. It will help you break the Chained Ogre's Posture quickly. Check Out Flame Vent Prosthetic Tool Here! 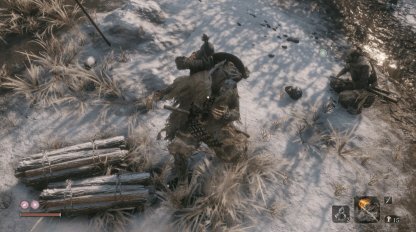 Instead of deflecting the Chained Ogre's attacks, it's best that you step dodge away from it instead. 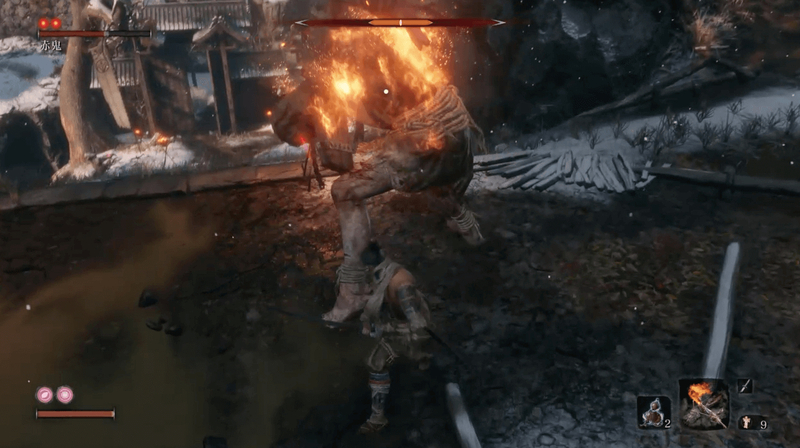 The Chained Ogre has many high-damage moves that can kill you if you try to deflect them. Check Out Death Penalty & Its Effects! 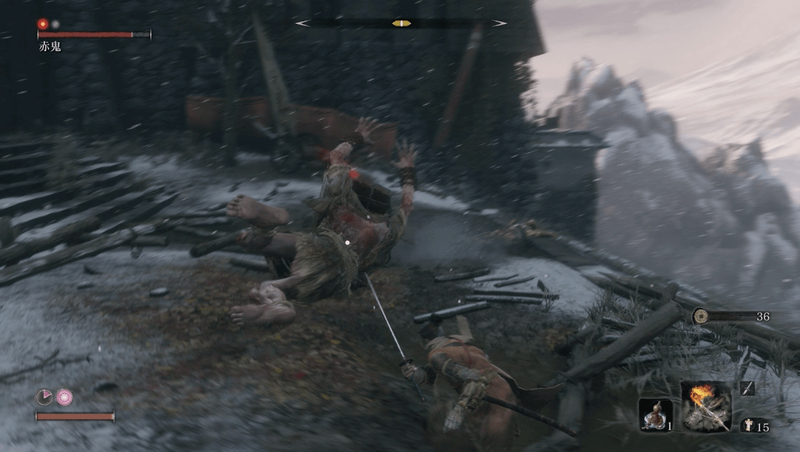 Though a bit dangerous, the Grappling Hook Attack lets you do quick damage to the Chained Ogre. Be careful though and immediately dodge after doing this attack to avoid taking damage. Check Out Grappling Hook Prosthetic Tool Here! The Chained Ogre's 1st HP Node can instantly be depleted when you do a stealth Deathblow on it. However, you still need another Deathblow to fully defeat the Chained Ogre. Check Out Stealth Gameplay Guide Here! (Danger!) 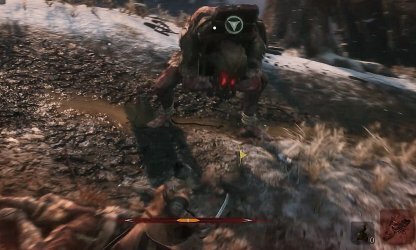 The Chained Ogre will jump and body slam into the ground. A wide-ranged move that is very dangerous. (Danger!) You'll be grabbed and attacked simultaneously. Can be avoided by step-dodging backwards. Body Pummel The Chained Ogre will jump towards you and try to pummel you with its body. Dodge it for an attack opening. Kick Chained Ogre will try to kick you when you go near it. It's a short-ranged moved. 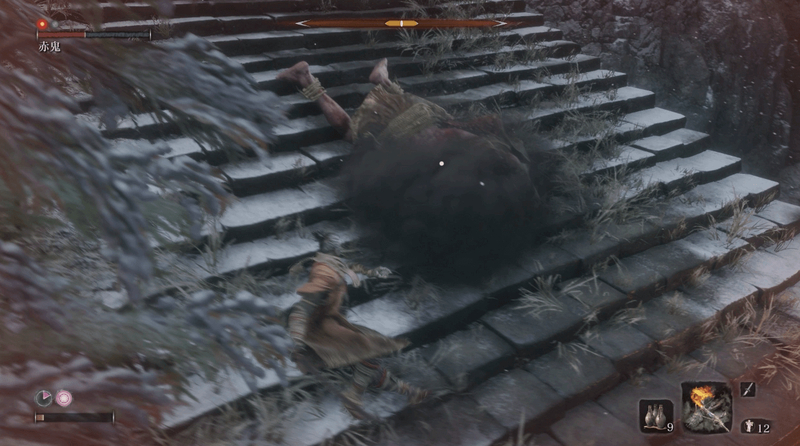 Hard to avoid, it's best to step-dodge backwards diagonally when the Chained Ogre does this attack. If you have full health, you'll be able to withstand this attack once but don't take your chances. 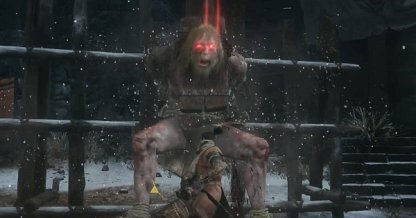 The Chained Ogre will use its body to pummel you. Simply step-dodge out of the way and take advantage of the few seconds after its attack. You may be able to slice it 1-2 times after this attack.